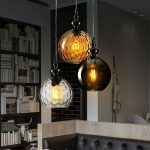 A contemporary pendant light, with a 25cm diameter dimpled amber glass bowl shade and complementing ornate antique brass finish top cap. Matching black flex suspension and simple circular ceiling mount completes the elegant styling. 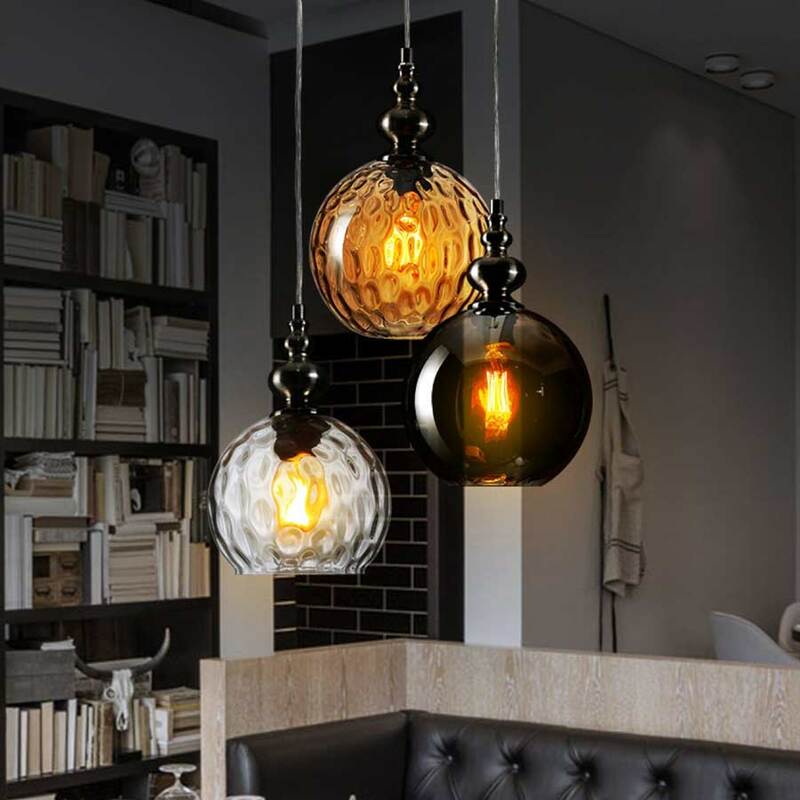 This chic ceiling pendant is height adjustable at the time of installation to a maximum drop of 1.3 meters. A great choice for rooms with a higher ceiling and particularly effective mounted in bunches of three over a cosy dining table. 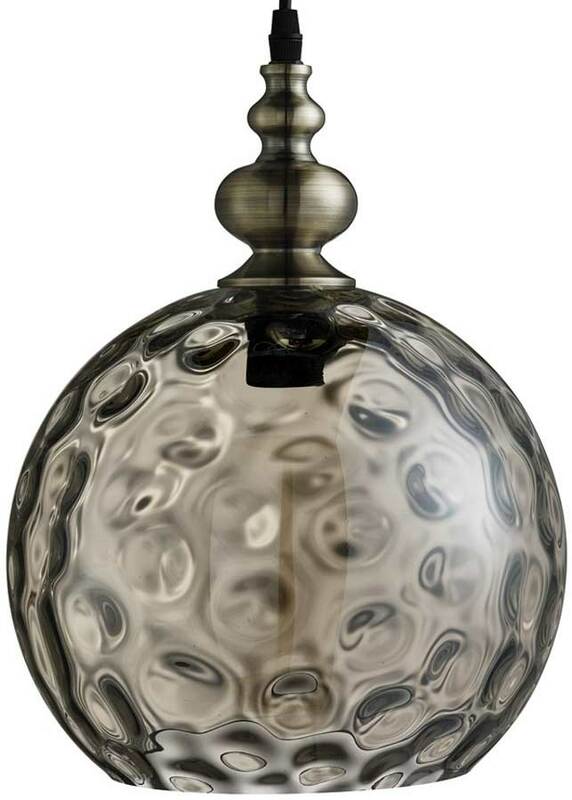 Other finishes in the globe shaped Indiana lighting range can be viewed below and includes smoked glass with chrome finial and satin silver with clear glass.